The Coolpad Note 5 Lite C was launched on 4th August, 2017. The device flashes a 5.00-inch touchscreen display with a resolution of 720 pixels by 1280 pixels. It is powered by 1.1GHz quad-core Qualcomm Snapdragon 210 processor and it comes with 2GB of RAM. The phone packs 16GB of internal storage that can be expanded up to 64GB via a microSD card. As far as the cameras are concerned, the Note 5 Lite C packs a 8-megapixel primary camera on the rear and a 5-megapixel front shooter for selfies. The connectivity aspects on board include Wi-Fi 802.11 b/g/n, Wi-Fi hotspot, v4.0, microUSB v2.0, with A-GPS and hybrid dual sim (micro + nano/microSD). It packs a Li-Ion 2500 mah battery. Sensors on the phone include Proximity sensor, Accelerometer and Ambient light sensor. The device is available in Grey and Gold colors. The Coolpad Note 5 Lite C price in India starts from Rs. 6,169 for 2GB and 16GB variant. 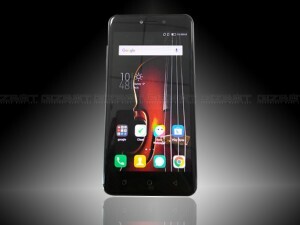 Coolpad is extending its product portfolio in India and has launched the Note 5 Lite C in the country. As promised, Coolpad, the Chinese smartphone OEM has launched a new smartphone in India with fashion-centric features. The Coolpad Cool 3 is one of the most affordable smartphones in the country with a water-drop notch, offering higher screen to body ratio. Coolpad is hosting a launch event in India on the 5th of February, where the company will officially unveil the Coolpad Cool 3, the upcoming smartphone from Coolpad with premium design.